South African police are trying to identify a suspected poacher who was reportedly killed and partially devoured by lions in a private game reserve near the Kruger National Park. The man’s mauled remains, including his head, were reportedly found today alongside a hunting rifle and ammunition. “The process of identifying the deceased has already commenced and it might be made possible by the fact that his head is amongst the remains that were found at the scene,” South African Police Service spokesman Lt. Col. Moatshe Ngoepe told the country’s News24. The Department of Home Affairs has also been asked in to assist in identifying the man. It’s unclear whether the man was in the Ingwelala Private Game Reserve to specifically poach lions. Although lion poaching has been on the increase in recent years, the region has historically seen higher levels of rhino poaching, which is a more lucrative animal to kill illegally. In parts of Asia, the horn is in high demand, where it’s used as an ineffective form of alternative medicine or carved into works of art. A year ago a man was mauled and killed by white lions in the same region after they escaped from their enclosure. 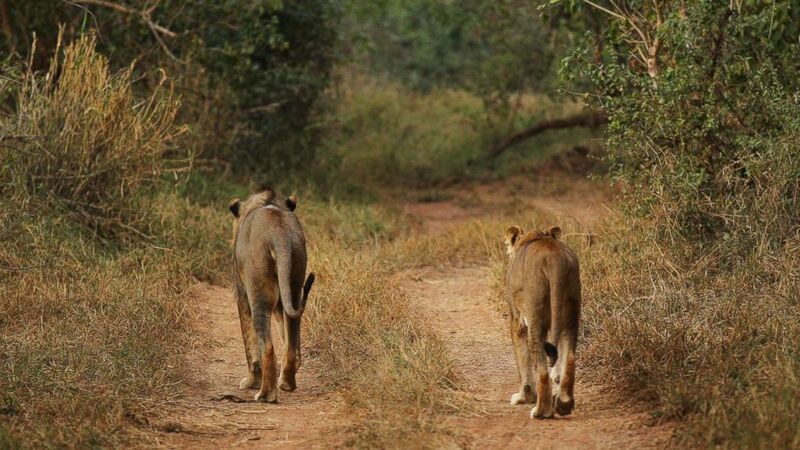 Several lions were found poisoned near a farm in the same province last year with their heads and paws sawed off. Lion body parts are used in traditional medicine.